I suspect that this is a question that few people have given much thought to. The answer should be as much a part of our conservation heritage as our first national park (Tongariro, 1887). The national park answer can be found in many conservation reference books and websites, but few authors have attempted to name our first fully protected native bird. Before 1903, the only legal mechanism used to protect native birds was to add them to the native game list, then to exempt them from hunting. To list a rare native species as ‘game’ is contrary to modern understanding and sensibilities – but the alternative at the time was year-round slaughter. 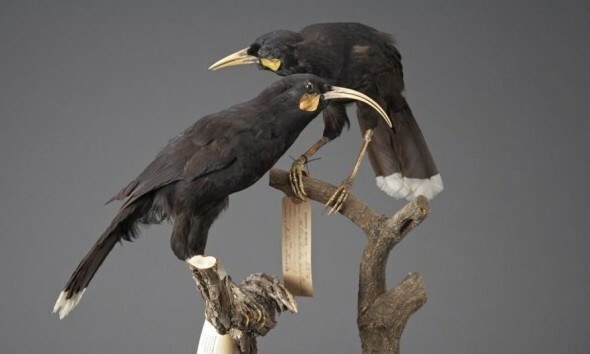 Native birds were killed for food, sport, feathers, and as desirable specimens for museums and private collectors – and for the latter at least, rarity commanded a higher price. Understanding when a species crossed the threshold from ‘protected’ (i.e. on the native game list) to fully protected (exempt from hunting year round) requires a bit of sleuthing. Finding additions to the game list is quite straightforward – they were either listed in legislation such as the Protection of Certain Animals Act 1865, or were added to the game schedule via notices published in the New Zealand Gazette. Checking whether birds were protected in each and every hunting district (there were up to 30 such districts in New Zealand) year after year takes more effort. There were 418 game hunting notices published between 1877 and 1903 alone, and not one of them as yet is searchable via the internet. The first native birds to be added to the game list in order to protect them from hunting were the white heron and crested grebe in 1885 – and some authors have suggested that they were our first fully protected birds (i.e., protected in 1885). This is incorrect on two counts. Both species were protected at the behest of the Otago Acclimatisation Society, who noted that “they are fast disappearing”. But it took a further three years before all acclimatisation districts exempted them from hunting – just in time for the 1888 game season. By this date, one other native bird species had been fully protected for a decade. This was well understood at the time – by politicians, naturalists and hunters – but appears to have been forgotten or overlooked by authors and researchers in the 108 years since most of our native birds were protected in 1906. The unlikely answer to the riddle is the tui – now one of our most abundant and widespread native birds (unless you happen to live in Canterbury). 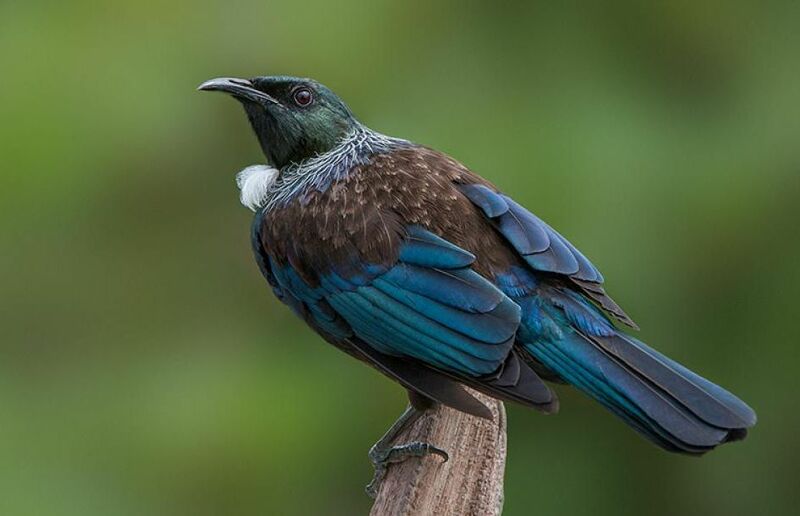 The tui was added to the native game list in 1873, when it was listed in the Protection of Animals Act 1873. Five years later, the Wellington Acclimatization Society [yes – they alone spelt it with a ‘z’] requested “We should also wish the Tui to be excepted from native game”(in a letter to the Colonial Secretary, 4 March 1878). 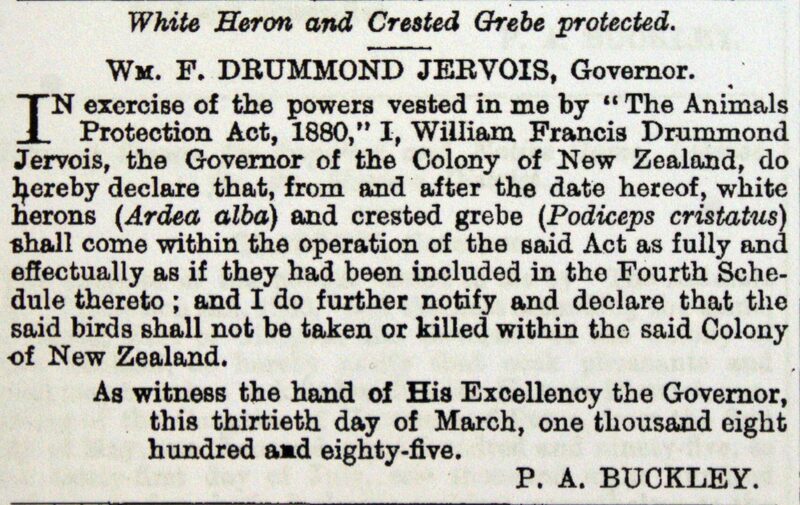 Not only was the tui exempted from hunting nationwide in the 1878 game season, but the exemption was applied in every acclimatisation district in every year until the tui (along with kiwi, kakapo and many other species) became absolutely protected in 1906. Miskelly, C.M. 2014. 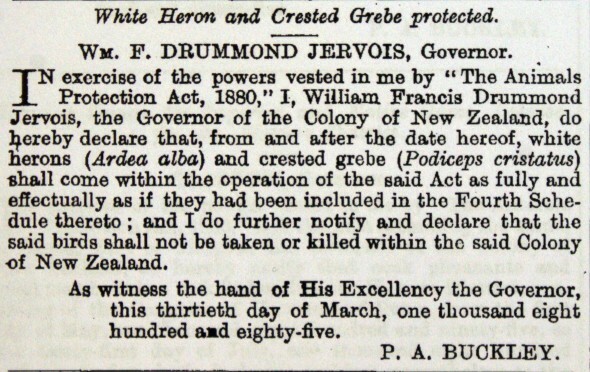 Legal protection of New Zealand’s indigenous terrestrial fauna – an historical review. Tuhinga 25: 25–101. For more quirky information on tui, see New Zealand’s favourite bird. What ever happened to Rosie the Black Robin? Did she disappear? Rosie hatched in late 1983. She was very productive, laying seven clutches during the 1986 & 1987 seasons. Perhaps this wore her out, as she was among the birds that died during the 1988 winter. This is a fairly typical life span for a small forest bird, although Rosie’s remarkable grandmother Old Blue lived to be at least 12 years old. This information is recorded in the book “The black robin; saving the world’s most endangered bird” (David Butler & Don Merton 1992).